Creating the contact centre of the future: what's driving change in Australian contact centre service delivery in 2016 and beyond? 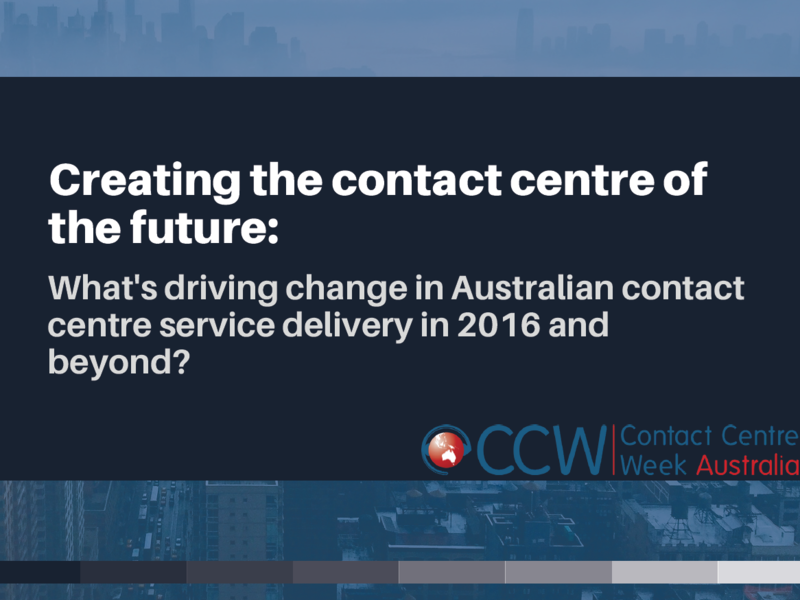 Ahead of Contact Centre Week 2017, we caught up with six different contact centres across Australia to find out the core areas they are each focusing on to prepare and create the contact centre of the future. From self-service to data analytics to up-skilling staff, it seems the future is bright for Australian contact centres. This report explores how Energy Australia, Qantas Loyalty, Optus, AMP, the Australian Taxation Office and Teachers Mutual Bank are each transforming their contact centres to become more customer centric in order to remain relevant now and in the years to come.